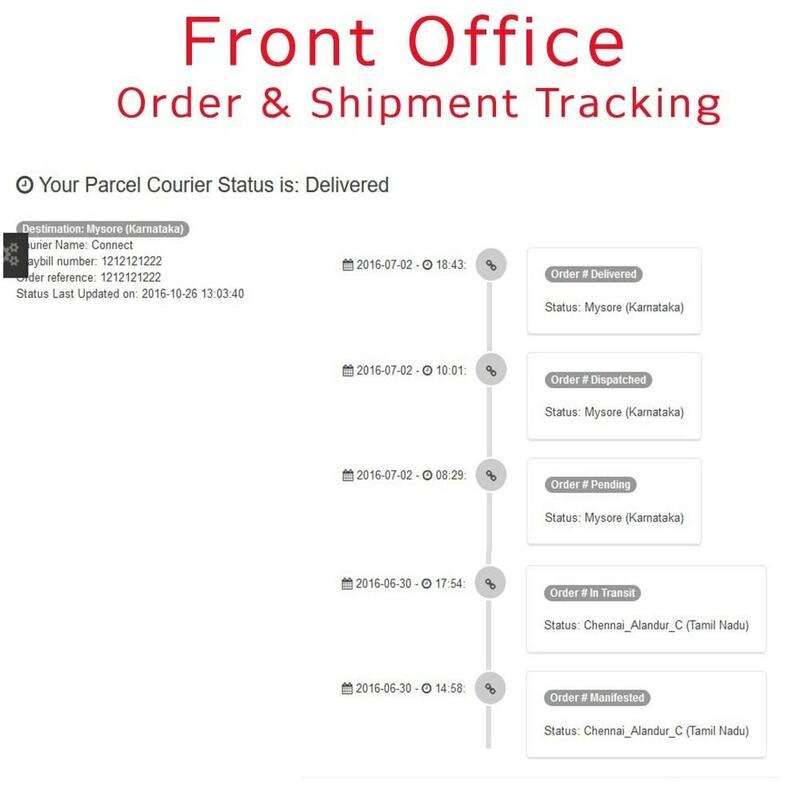 Track shipments. 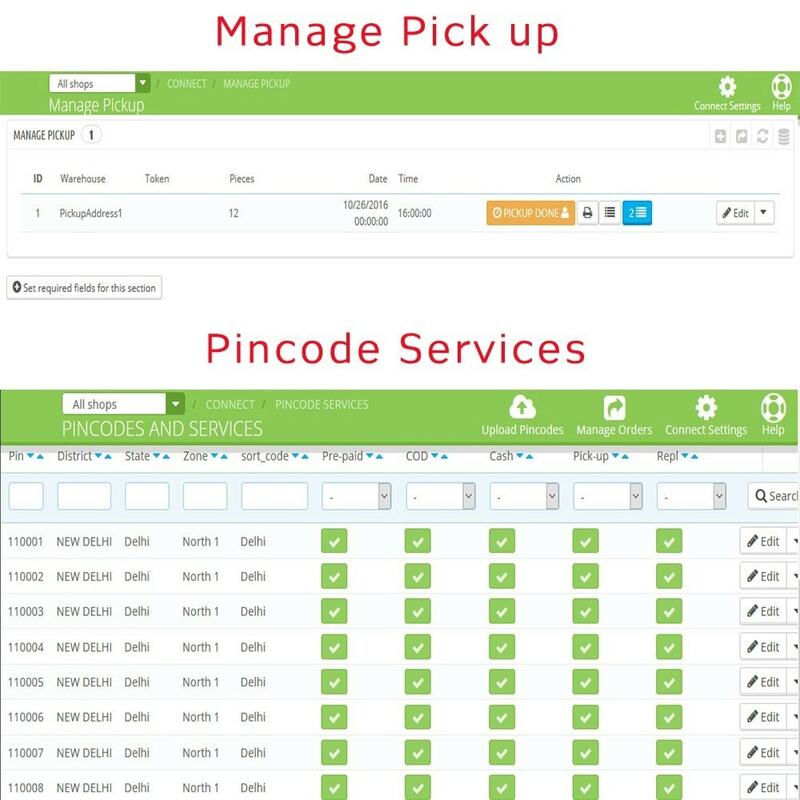 Check pincode service availability. 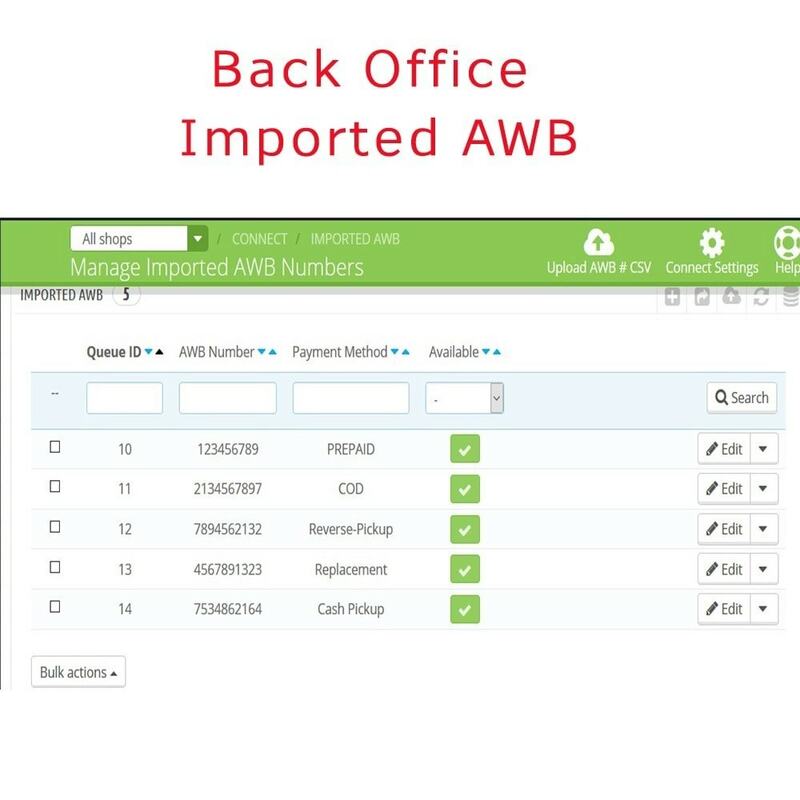 Generate AWB number. 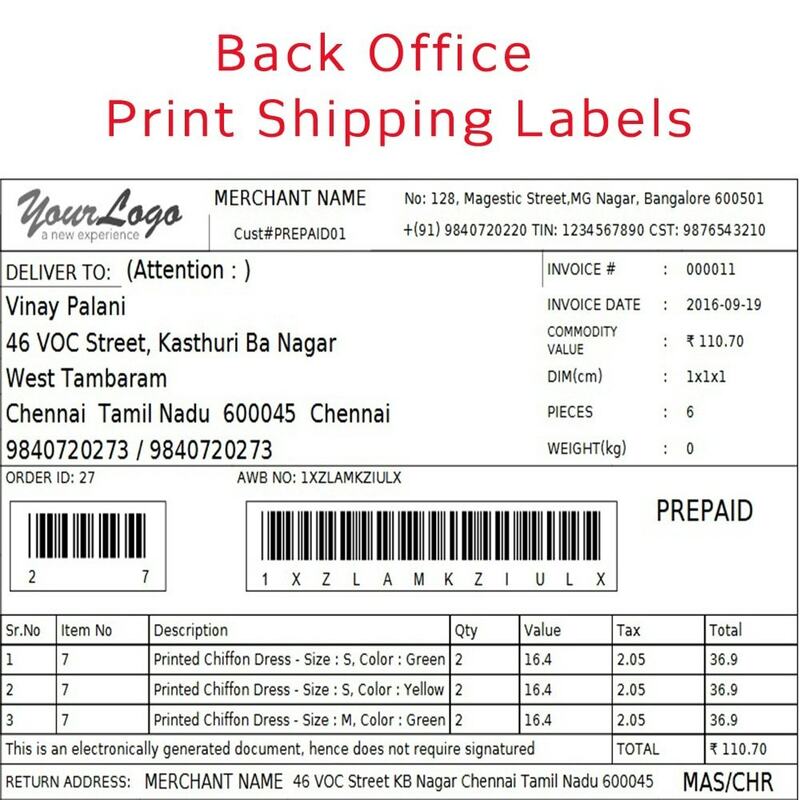 Print Shipping Label & Manifest PDF with C39 AWB Barcode. 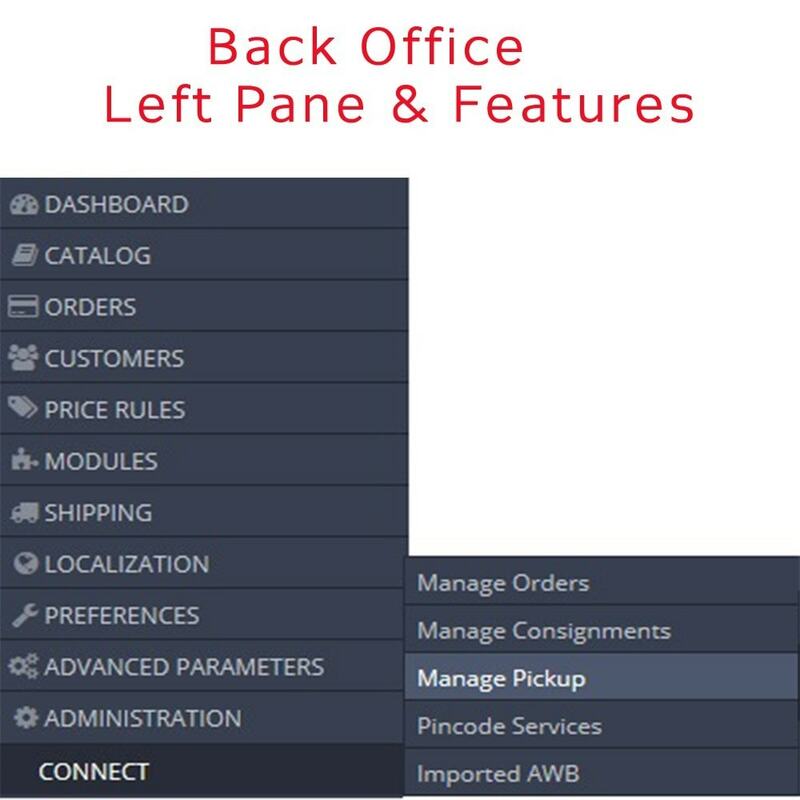 Import AWB, pincode services. 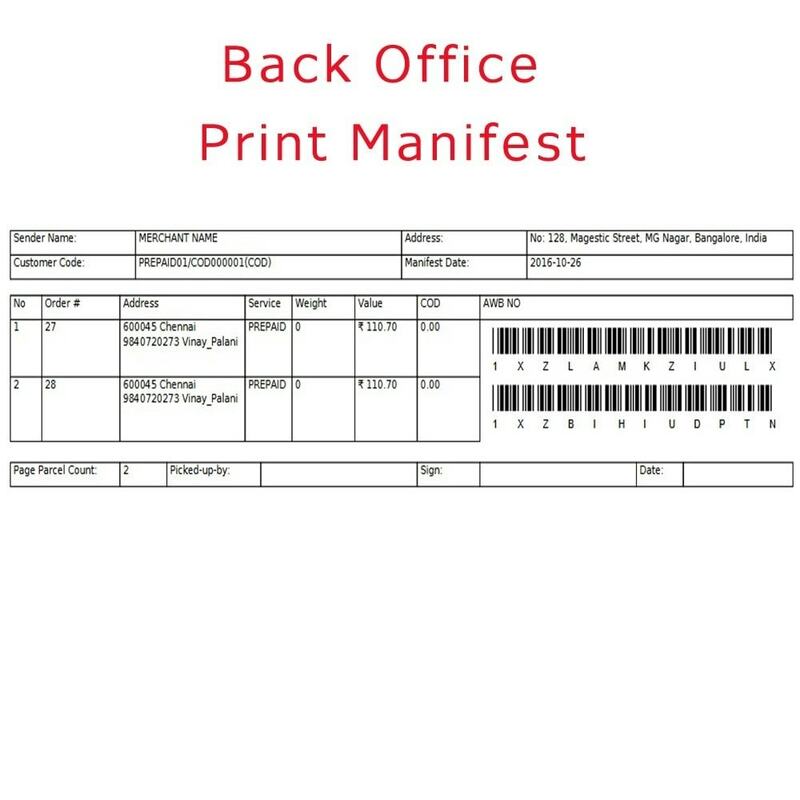 Bulk print and upload options. 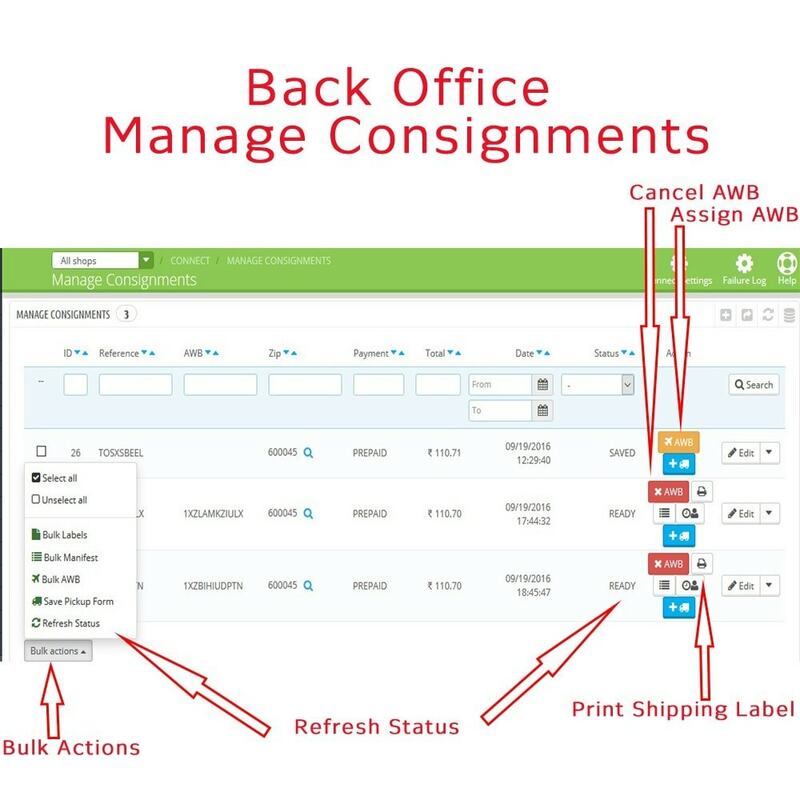 Helps customers track their order easily from Front office. 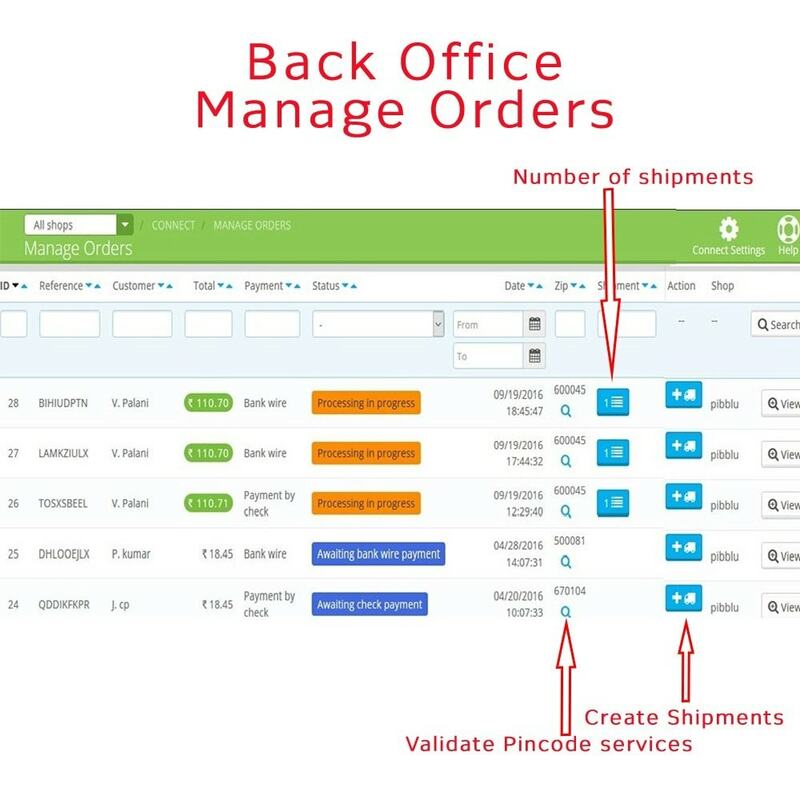 Prevents unwanted customer queries on parcel status. 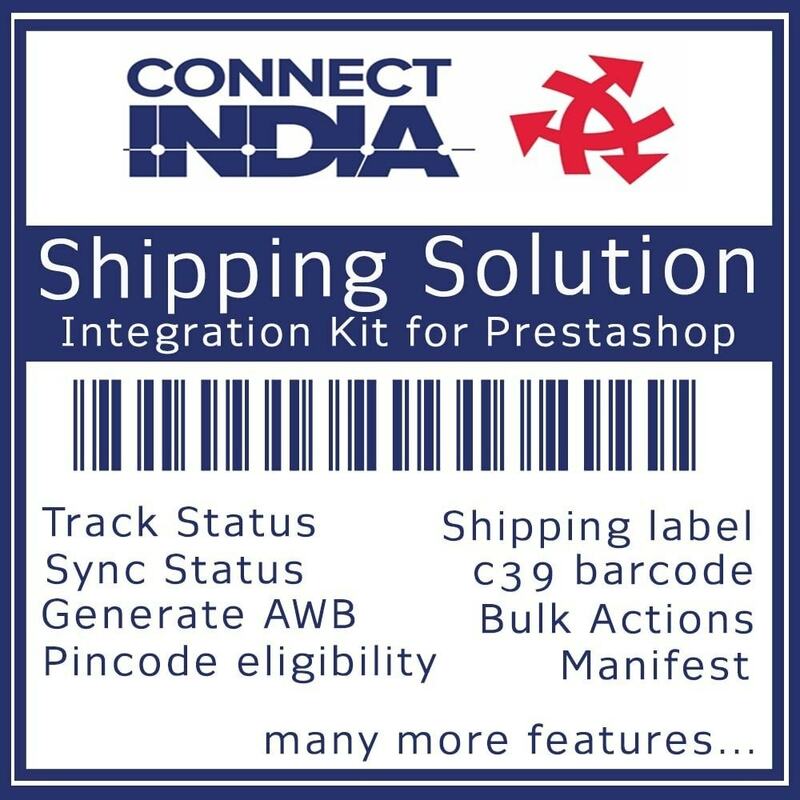 Mapping between shipping carriers to Connect India shipping modes shall be pre-configured. Mapping between payment options to Connect India payment modes shall be pre-configured.